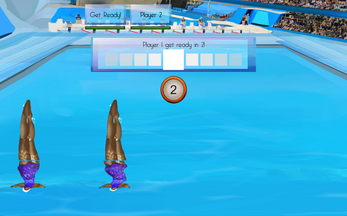 Sync or Swim is played with 2 to 4 players who take turns entering a dance sequence, which is followed by all the players repeating it in beautiful harmony. Each turn, the sequence has two more moves added to its end. If a player fails to enter a button correctly their health will be depleted. Repeating a sequence perfectly will redeem regain some depleted health. A swimmer who loses all of their health will be eliminated and have to leave the pool in shame. The last swimmer still performing the dance sequence correctly while the rest of their teammates are eliminated, wins! What a true spirit of teamwork! 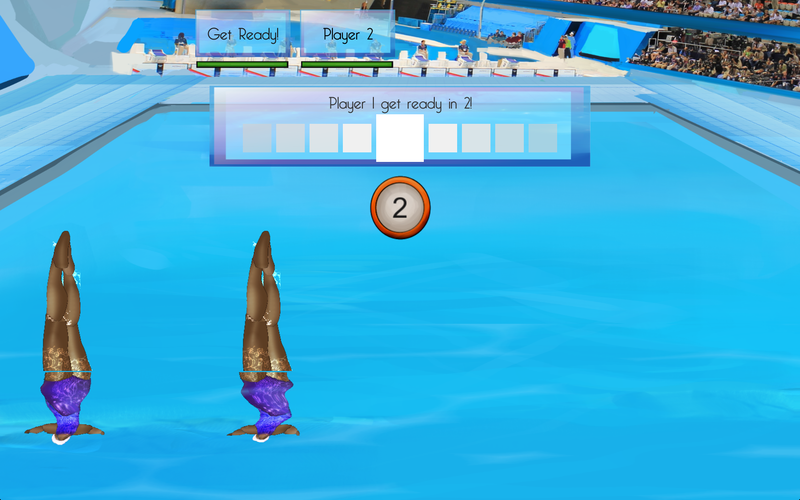 Will you and your team work together with simple sequences, dancing perfectly and impressing the wandering Swimming Instructors, or will you make the sequence as complicated as possible, sabotaging your friends and laughing as they splash out of control? 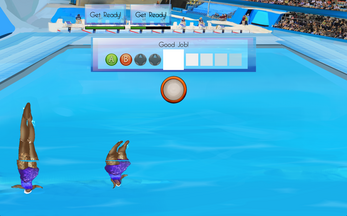 Sync Or Swim was made as part of Dames Making Games' Gym Jam game jam in Spring 2015. It'll be featured alongside other Gym Jam games at the DMG Arcade and Tournament July 18-25th as part of Ontario's Celebration Zone at Harbourfront Centre during Pan Am Games.